Accelerate your exosome studies with these ready-to-use purified exosomes from the human pre-adipose-derived mesenchymal stem cell line PCS-500-011. 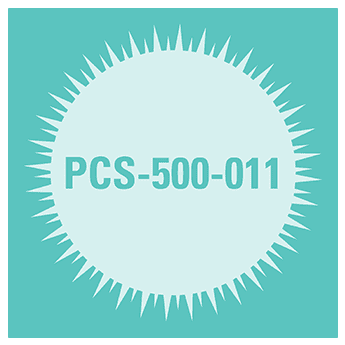 Like all of our purified exosomes, exosomes isolated from PCS-500-011, a human pre-adipose-derived mesenchymal stem cell line, are carefully manufactured in SBI’s Palo Alto facilities. Starting with cells grown in Exo-FBS (our exosome-depleted FBS) to maximize purity, exosomes are isolated using ExoQuick-TC® and then quality checked by Western blot for the presence of CD63, and NanoSight for particle size and intactness. Provided in amounts > 1 x 106 exosomes (or 50 µg protein equivalent), all of our preps deliver functional exosomes. All exosome preps are also subjected to NanoSight Analysis to test for particle size and intactness (Figure 2). Figure 2. All exosome preps are checked for particle size and intactness via NanoSight. Approximately 5 µl of purified exosomes were added to 995 µl of 0.2 µm filtered 1X PBS (1:200 dilution). The diluted samples were incubated in a VWR 500 model ultrasonicator water bath set at 33°C for 10 minutes to ensure adequate exosome particle dispersion. The samples were diluted 1:10 then vortexed at 2.5k for 10 seconds. This eventual 1:2,000 dilution was used to gather between 1,000 to 3,000 particle tracks per sample analysis. The samples were then loaded into a NanoSight LM10HSB with a syringe pump and the sensitivity of the camera is set to auto 16 (the most sensitive auto-setting). All data were collected in triplicate. The purified exosomes displayed the expected size distribution profiles, with peak diameters from 90 – 110 nm and concentrations in the range expected for media exosomes at about 1 x 1010 exosomes/ml.